Italian Lakes Holidays » Learn About the Italian Lakes Activities and Events! Learn About the Italian Lakes Activities and Events! The Italian lakes are located in the northern region of Italy and are considered to be of the most beautiful areas on Earth. 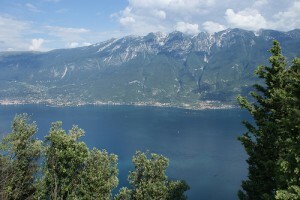 The Italian lakes district can be found between Milan and the Alps. The scenery of the Italian lakes is breathtaking and offers the countries’ most scenic areas. For this reason Italian Lakes holidays are extremely popular with foreigners and native Italians alike. While you are visiting, you can stay at a very reliable chain of hotels around Italy (hotel Italia), or you may choose to stay at one of many luxury Italian villas available in those areas. There is a lot to know about the Italian Lakes. When planning your trip, remember that Lake Garda, Lake Como, and Lake Maggiore are the most popular lakes in the district. Each lake has a unique feel and atmosphere, and so each tends to attract different types of people. If you’re a first time visitor, make sure to visit those three for sure. Once you have those under your belt, you can start exploring the rest of the region, full of beautiful, less-touristy areas to discover on your own. Some honorable mentions for smaller Italian lakes include Lake Lugano (read about hotel Lugano), Lake Iseo, and Lake Idro. * A shot of Lake Garda. Lake Como, like Lake Garda, is also a popular tourist spot, where the lake is surrounded by mountainous terrain. It is also the location of the Italian lake’s most famous city: Bellagio (which is where the famous Las Vegas hotel gets its name). This is considered by many to be the most beautiful town in Italy. This lake is also the home of Varenna (read about Varenna hotels), Menaggio (read about Menaggio hotels), and Tremezzo (read about Tremezzo hotels). Lake Como has an extensive ferry stystem, making it very easy to travel in between towns all around the lake (like the famous Menaggio and romantic Varenna). This lake is also extremely famous for its extremely lavish villas, which are scattered throughout the lakeside. In terms of outdoor activities, those interested in water sports will have plenty to entertain them at Lake Como. Sailing, windsurfing, and kite surfing are all popular activities at the lake. This lake is world famous for its beautiful mountainous terrain surrounding the lake, and is a must-see for first time visitors. 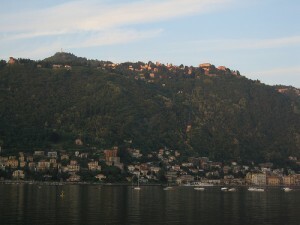 Lake Como hotels are plentiful and can be found in all surrounding cities. * A shot of Lake Como. Those who want to have a somewhat less touristy vacation experience should make their way to Lake Maggiore. This lake is much less crowded than Lake Garda and much less flashy than Lake Como. There is a lot more natural scenery to appreciate; a much more outdoors and natural feel overall. You could go hiking by foot or on quad bikes around the lake. That is of course until you reach Stresa, one of the most lavish towns in the district. Lake Maggiore was the retreat of much of Europe’s nobility in earlier times, and the architecture and design of Stresa hotels and the surrounding towns is extremely luxurious. Make sure to visit some of the very picturesque islands in the lake too. Those of you interested in movies and music should look up the schedule of festivals at Lake Maggiore while planning your trip. Some of the most famous festivals include the Locarno Film Festival, the Ascona Jazz Festival, the Settimane Musicali, and the Spirit of Woodstock Festival. Be sure to book at one of these recommended Lake Maggiore hotels when planning your trip. When planning your Italian Holidays, all three of these lakes are must-see. Once you are done with those, you can talk with locals or other travelers, and they will have even more to tell you about the Italian Lakes district. There are many great areas to explore along Italy’s gorgeous coast as well. This includes, but is not limited to, Pisa (read our hotel Pisa guide), Cervia (read our hotel Cervia guide), and Alassio (read our hotel Alassio guide). And of course lets not forget about gorgeous places to visit that aren’t by the water. Other cities to include on your list if you want to do a skiing vacation are Bormio (read our hotel Bormio guide), Madesimo, and Ortisei. You may want to include a Tuscany vacation on your list as well; that is a great region to explore. At first, the nature of the people in Italy may strike you as unusual, but that is normal and referred to as “culture shock.” Once you get used to it, you will find that Italian men and women are extremely friendly people. For further information, please look around the rest of the website for Italian lakes information or check out the Italian lakes travel guide.